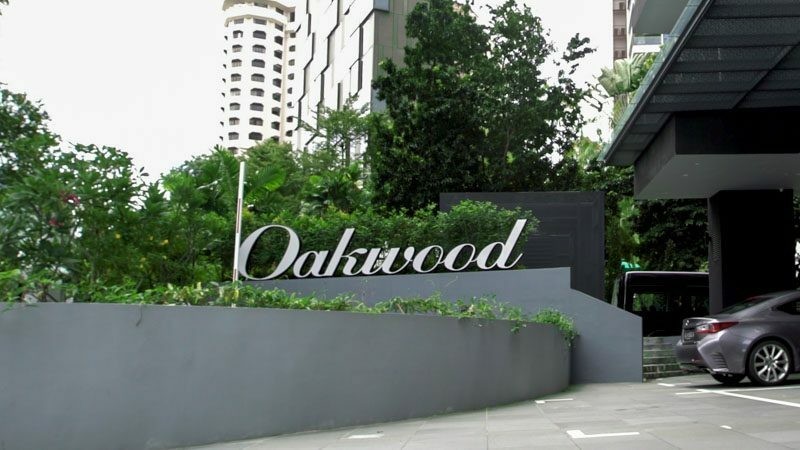 Boasting a lavish grey facade, you’ll never expect that Oakwood Studios Singapore was designed with millennials in mind until you step into its swanky lobby. 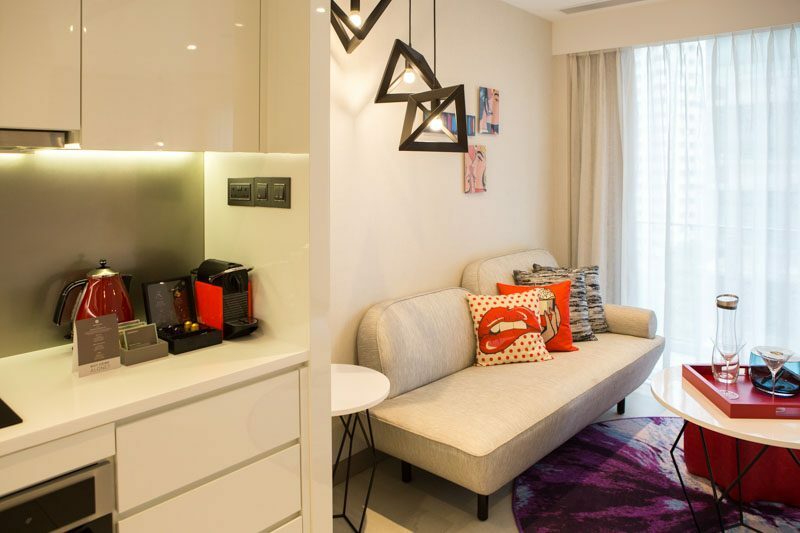 Tucked away in the tranquil neighbourhood of Mount Elizabeth, the studio apartment is a stone’s throw from Orchard MRT; a short 10-minute walk and the shopping malls are right at your footsteps — talk about convenience. 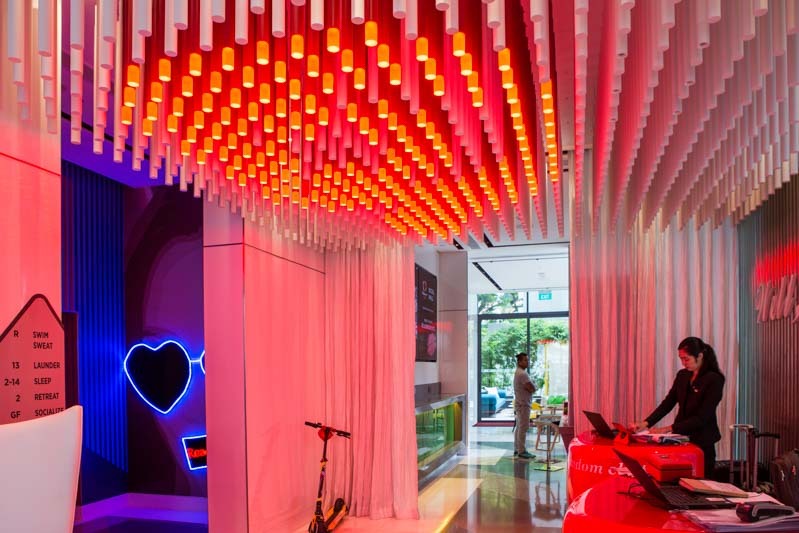 Welcoming us was the 24-hour front desk that is resplendent in bold colours. We were immediately drawn to the red lights hanging from the ceiling — it is said that you must truly be a millennial if you’re able to identify its shape. Phew, I’m glad I got it right with a little hint (it’s clearer when you look at the reflection on the floor)! 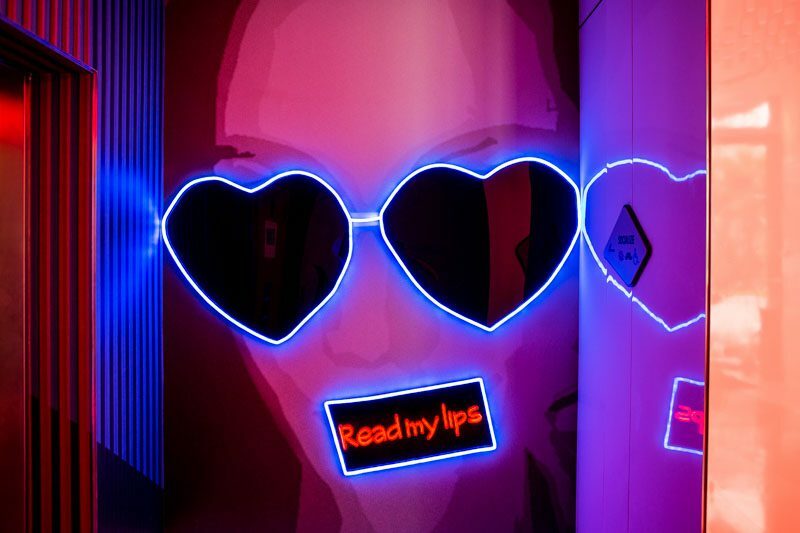 Hidden behind the wall of the reception area, is a ray of gleaming neon lights at the lift lobby which beckons for a peek. And if the lift is taking too long to arrive, why not take this opportunity to use it as a photo op? 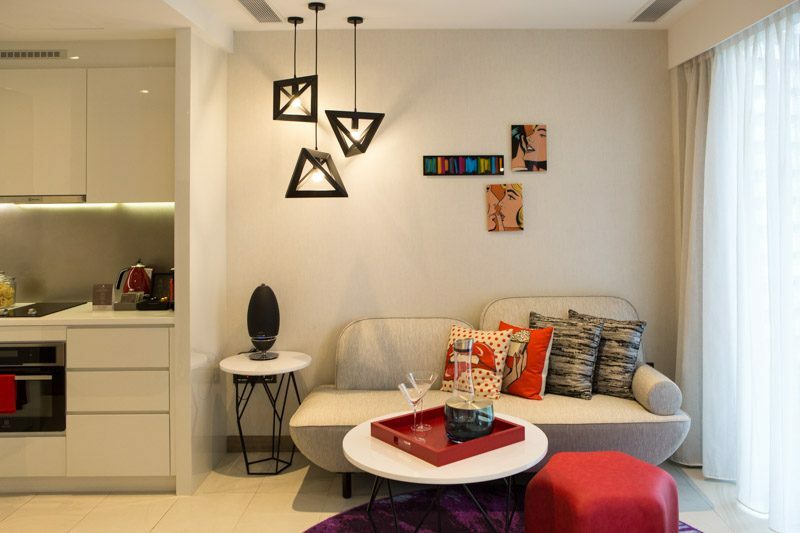 The Socialize Space is dotted with cheery colours and widened with the natural lights flooding in from the full-panelled windows, which immediately uplifted our moods. Oh, and just so you know, the piano can be rented and placed in your room simply for entertainment or to serenade your partner for just $30. 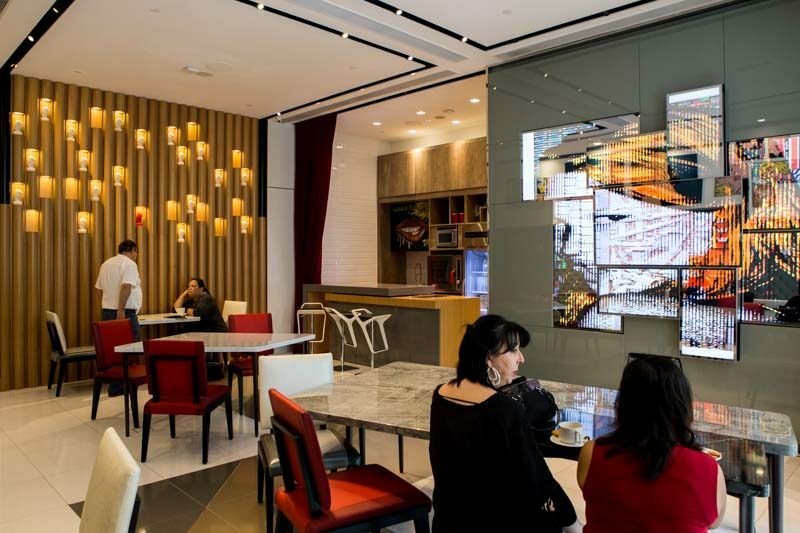 Right across the room are tables and chairs, and if you noticed that they are not placed uniformly, it’s because they can be freely moved about for meetings or gatherings. The lack of formalities and freedom to do things creatively is truly liberating and is what sets Oakwood Studios apart from the others. 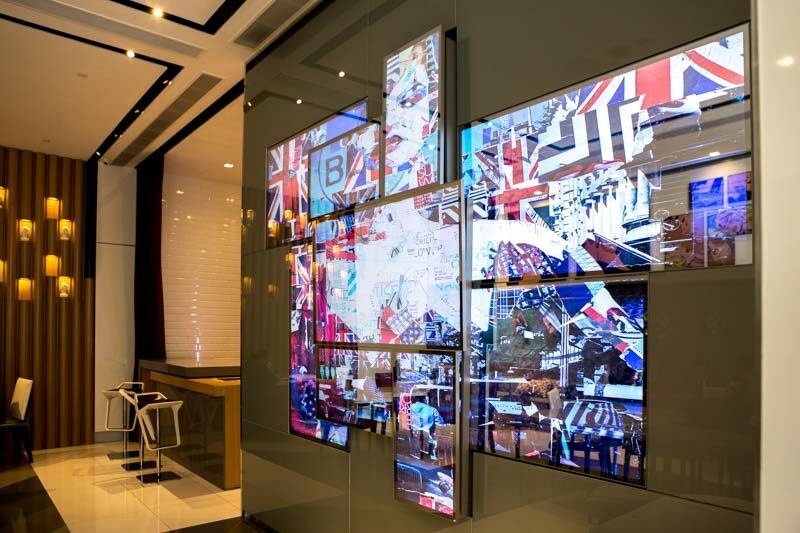 Ever since the Samsung Seamless Mirror TV was released, I’ve been dying to see what it looks like and was excited to have found it here. Impressive it was — it spanned across the entire wall, serving as a work of art. When switched off, it doubles as a mirror that a couple of guests were using to check themselves out. 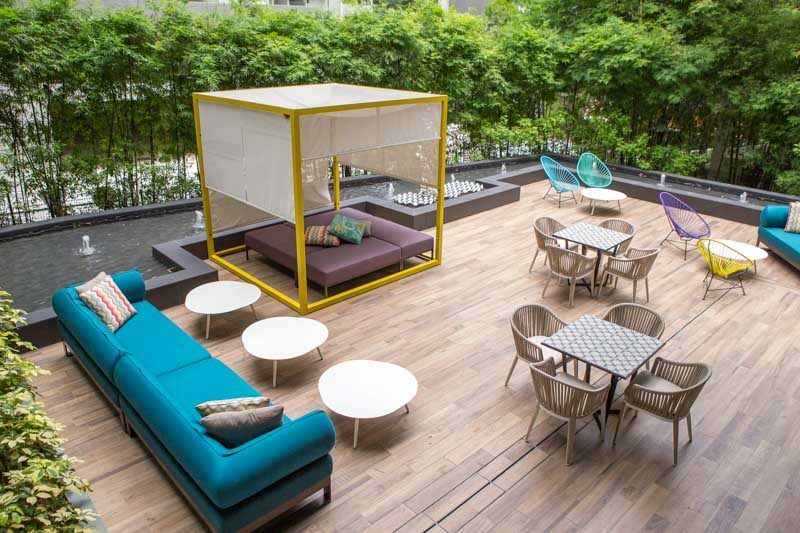 There are ample seats at the al fresco area which looked especially inviting to while away the cool evening. Of course, we couldn’t resist taking some shots for the ‘gram. 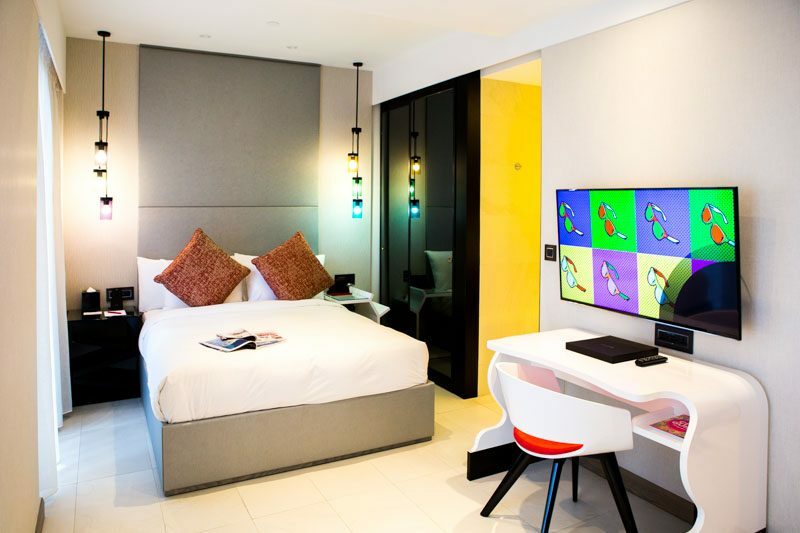 The 35-square-meter studio room is minimalist and modernly-styled, consisting of a queen-sized bed, a working desk and a digital entertainment system. 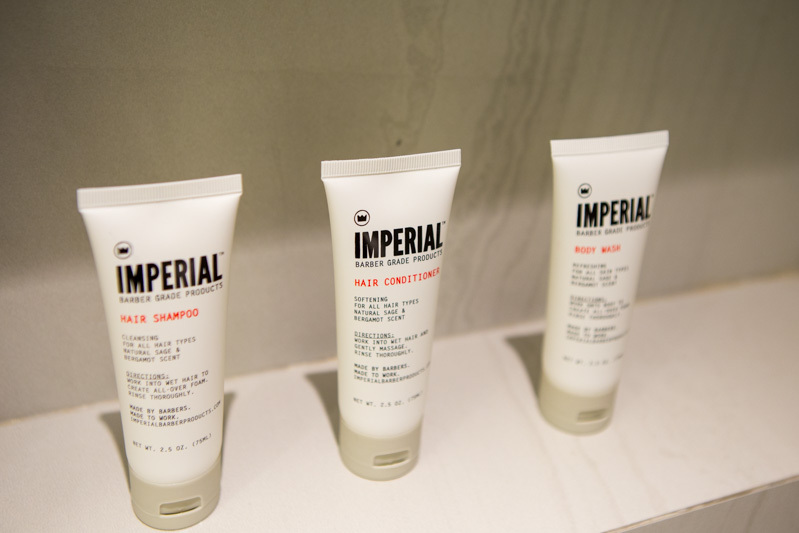 The bathroom is spacious and comes with a rain shower, along with a range of Imperial Barber Grade Products from the U.S. that will keep your skin and tresses in check. It is also decked out with a fully -equipped kitchen, and albeit tiny, it features very sleek and smart functions that play around with the little space. A small inbuilt oven lets you whip up a full meal, and a transformable sink gives you more prep space and area to work around with. Before checking in, we were also given a form to fill up the necessary items that we wanted to have stocked up in the fridge. 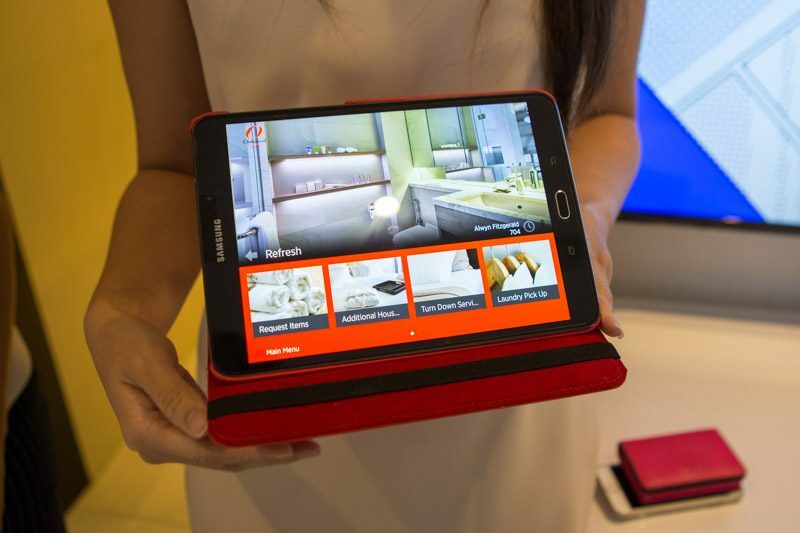 Instead of having to pick up the phone to speak to the front desk, a handy Samsung Tablet acts as your personal butler. With a simple touch on the screen, you can request to stock up your fridge with more items, or have any other special requests looked into such as renting the piano for your room or booking an e-scooter to explore the city for the day. It is available on the app store for added convenience. Nothing beats knowing that you’ll be heading back after a long day out to an apartment that is all prepped according to your specific requests. Even the artworks and portraits seen in the rooms are purchasable via the Samsung Tablet, so you could bring home a souvenir to remember your delightful stay at Oakwood Studios. 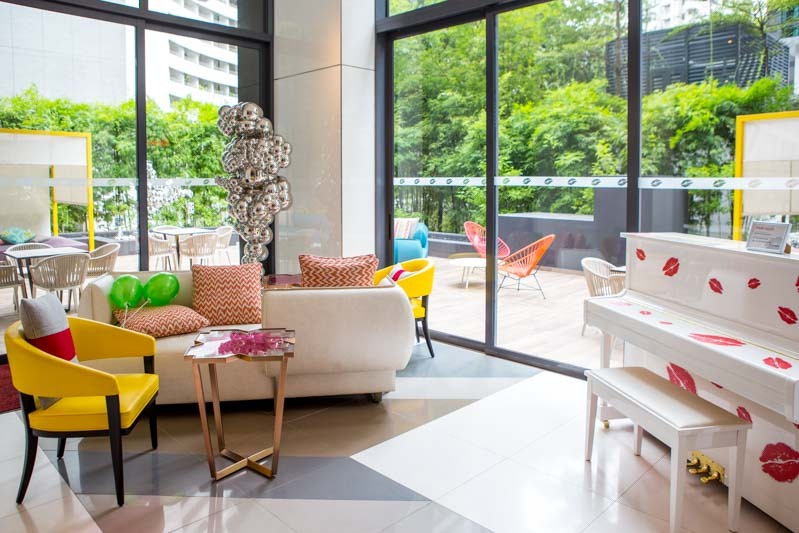 Most of the Studio Rooms have a balcony, offering views of Orchard Road and an added space to chill out in the evening. 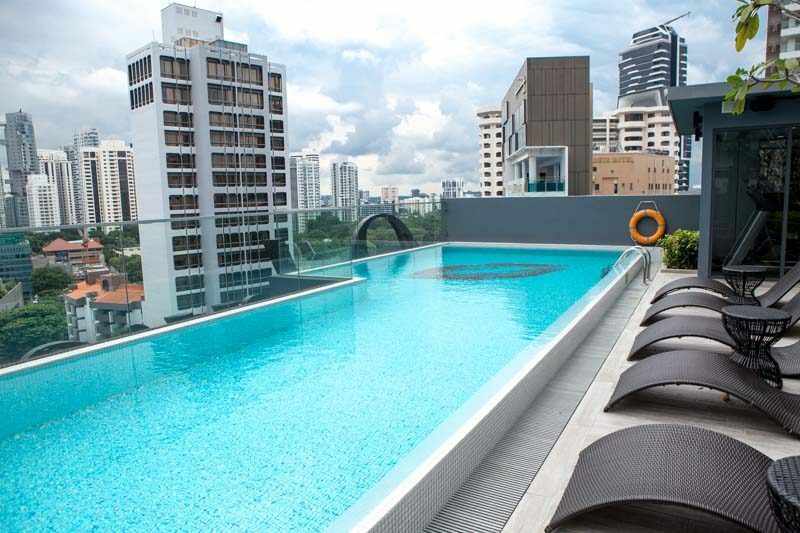 Our favourite part of Oakwood Studios is the rooftop pool that overlooks the neighbourhood, and our lazy bums were stuck to the pool chairs where we sat quietly, enjoying getting toasted in the sun for a good hour. On the same level is where you’ll find a gym that has all the necessary workout equipment, and a BBQ pit for cosy get-togethers over grilled meat. It was truly an enjoyable stay with every corner practically designed for an Instagrammable shot. I loved how savvy this studio apartment is and it’s great that the Samsung Tablet was all that was needed to see to all our requests. I now see the appeal for millennials to flock here to spend the weekends, and can’t find an excuse not to swing by again soon.